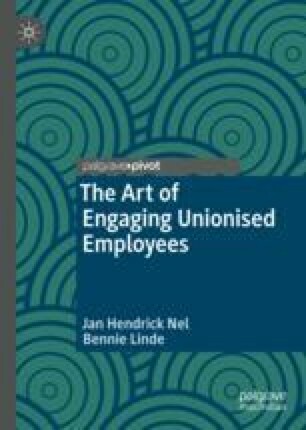 This chapter explores the development of engagement through a historical lens using a systematic review of the literature to gain a better understanding of the concepts and frameworks on engagement to develop a foundation for a new framework to address the low levels of engagement in a unionised environment. Literature indicates that there are several definitions of employee engagement in existence and yet there is a lack of consensus regarding the meaning and distinctiveness of employee engagement from other constructs (Saks and Gruman, Hum Resour Dev Q 25(2): 155–182, 2014). Just as there are several definitions of employee engagement, several theories of engagement exist. There are four major theoretical approaches to define the existing state of engagement, namely the need-satisfying approach, the burnout-antithesis approach, the satisfaction-engagement approach, and the multidimensional approach (Shuck, Hum Resour Dev Rev 10(3): 304–328, 2011).